There’s a lot of evidence to support the inclusion of fish in your dog’s diet. In fact, I’ve written before about how feeding your dog fish can be good for their health in a number of ways. But can there be such a thing as giving your dog too much fish? And are some types of fish better than others? The short answer is yes – but it gets complicated after that. Because as I explain below, sometimes fish contain a variety of contaminants that can be bad for your dog’s health. Contaminants are chemicals that are often present in water and so in turn are often present in fish, to some degree or another. And as the name suggests, they’re not a good thing. These chemicals are often toxic and can be detrimental to your dog’s health if consumed in too high a quantity. This toxic metal occurs naturally at low levels throughout the environment. It’s also released into the air, soil and water when fossil fuels and waste are burned and during some manufacturing processes. Worryingly, it never breaks down or disappears. Dioxins are a group of 75 different compounds. While they occur naturally, for example through volcanic activity, they’re also produced through human activities, including during the manufacturing of pesticides and through paper mills. PCBs are a mixture of different individual compounds which are typically used as coolants and lubricants in certain types of electrical equipment. They can be released into the environment as a result of the disposal of specific products (e.g. fluorescent lighting fixtures) or via improper disposal of industrial and hazardous waste. Once released into the environment, either naturally or due to negligence by humans, these and other contaminants can enter water through a variety of different routes. For example, they can be directly deposited into rivers, lakes and oceans as a result of agricultural processes, industrial waste leakage or storm water runoff, amongst others. They can also be carried indirectly via rain, which picks up chemicals from the land or air and deposits them in water. When present in water, these contaminants can be taken up directly by fish via the water passing over their gills or by the fish being close to the bottom of the water where these chemicals can settle. Once taken up by fish, these chemicals tend to concentrate and settle in the skin, organs and other fatty tissue of fish, where they build up over time. This means that no amount of cleaning will remove them – they are embedded in the fibres of the fish. This leads to the second route fish can take up contaminants – indirectly, via eating other fish that already contain them. Unsurprisingly, it’s common for larger species of fish acquire contaminants this way. That’s why larger species tend to have higher levels of contaminants – not only do they acquire contaminants themselves, but they also eat smaller fish who already contain these contaminants. Dioxin and PCBs accumulate in fat. They are therefore particular likely to be found in oily fish. In contrast, mercury is not specifically found in oily fish. So, is there something fishy about fish? All of this may be making you wonder if there’s any advantage to including fish in your dog’s diet at all. Because while these contaminants can be a potential threat to your dog’s health, the benefits of feeding your dog fish greatly outweigh the potential harms. Specifically two omega-3 fats: Eicosapentaenoic acid (EPA) and docosahexaenoic acid (DHA). EPA and DHA are known to have all kinds of important roles in your dog’s body such as promoting cardiovascular health and brain function, and they are vital for neurological development during puppyhood. Fish are the best and almost only source of DHA and EPA in our dogs’ diets. Nonetheless, there are some things to consider when choosing which fish to feed your dog. One thing is the type of fish you feed your dog, because some fish tend to be higher in these contaminants than others. At what amount these contaminants begins to harm your dog’s health simply isn’t know but it is advisable to stay away from high-mercury fish. As for the other contaminants, such as PCBs, the concentrations in wild fish are generally low and similar to levels in other animal-based foods (beef, chicken, pork, dairy products and eggs). Omega-3 fats are what we’re after when we feed fish, so not just any fish will do. Salmon, Atlantic mackerel (which is different from king mackerel), herring and sardines are amongst the best omega-3 providers and therefore the fish with the most health benefits. Those are the varieties you want to feed your dog. Fortunately, most of these have low mercury level. By now, we know that feeding fish is good for your dogs health, but the debate about farmed versus wild salmon is controversial. Just like our dogs, fish are what they eat. Wild salmon eat smaller fish that are high in EPA and DHA. During their growing period farmed salmon is fed dry pellets made largely from vegetable ingredients. Then more expensive fish and fish oil pellets for a period prior to harvest to elevate levels of EPA and DHA. Because farm-raised salmon is fed a concentrated, high fat food they have higher levels of omega-3 fat. PCBs are stored in fat, which is likely why it’s been reported that levels of PCBs are significantly higher in farmed salmon than in wild caught salmon. A 2003 EWG report found that on average farmed salmon have 16 times the PCBs found in wild salmon, 4 times the levels in beef, and 3.4 times the levels in other seafood. In January 2004, the journal Science warned that farm raised salmon contain 10 times more toxins (PCBs, dioxin, etc.) than wild salmon. The least contaminated farm-raised salmon came from North and South America, and the most contaminated came from Europe. Of course, there are other things to think about when buying farmed fish – for example, the use of antibiotics and environmental impact. But in relation to contaminants, my advice; ‘go wild’. As well as omega-3 fats, fish is also a good source of selenium. Scientists have long known that selenium and mercury have a strong attraction for each. So when they are found together they tend to bond, forming a new substance called mercury selenide. When mercury binds to selenium, it’s no longer free to bind to anything else – like your dogs tissue. For this reason it is suggested that selenium counteracts the harmful effects of methylmercury (the toxic form of mercury found in fish). 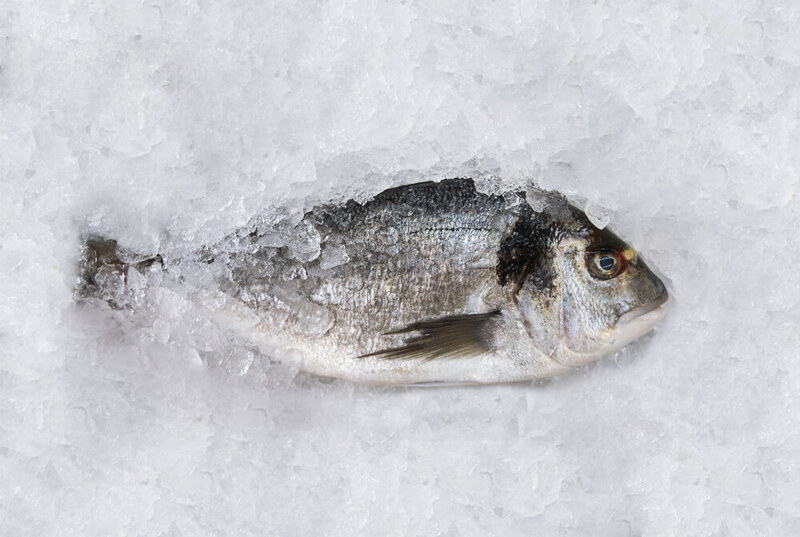 If this research holds up, it’s great news but the mechanisms for these interactions are poorly understood and to date there is limited evidence that selenium in seafood provides significant protection against the negative effects of mercury. Therefore, it is to early to conclude that selenium can protect against methylmercury. Choosing fish that are low in contaminants is still the best course of action. Furthermore, the selenium content of fish is dependent on local soil selenium status and European soil is generally low in selenium. If you’re looking to improve your dogs health, adding fresh fish to the diet is one of the best ways to start. How often you’re feeding your dog fish is something you should speak to your vet about as the optimum number of servings will vary by dog. Eating some fish is good. Eating lots of it might not be.